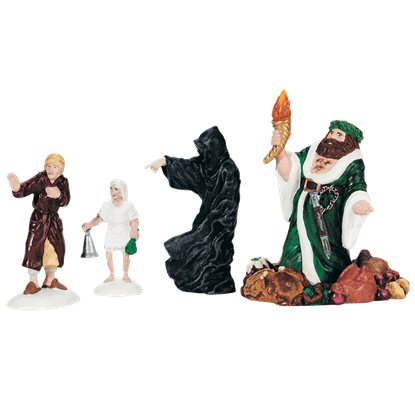 Celebrate the holiday season by creating your own Christmas display, complete with characters from A Christmas Carol! 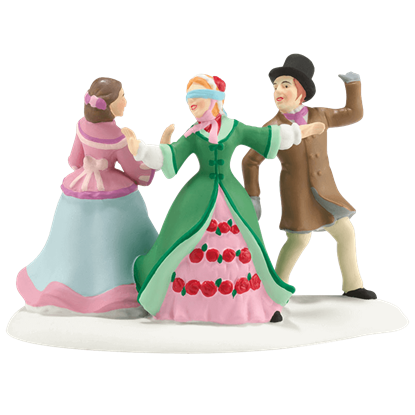 The Blindmans Bluff figure recreates a scene from the Christmas party hosted by Ebenezer Scrooges nephew, Fred. Scrooge is taught an important lesson in the classic holiday tale, making Dickens characters a great choice for your village. 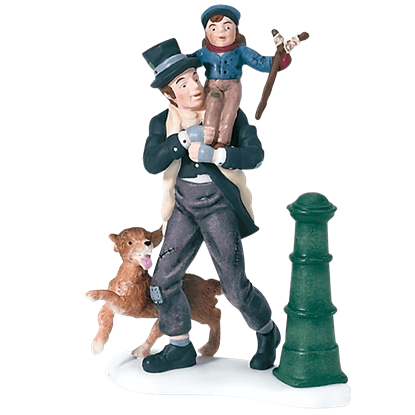 The Bob Cratchit and Tiny Tim figure shows the poor clerk of Ebenezer Scrooge holding his crippled son. 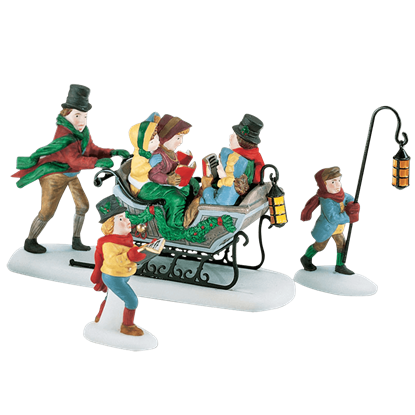 Now you can enjoy the Christmas season by recreating Charles Dickens classic holiday tale in your decorations. 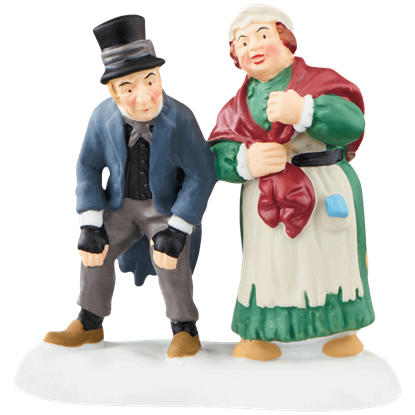 Go Caroling With The Cratchit Family this Christmas when you add these porcelain figures to your seasonal village. 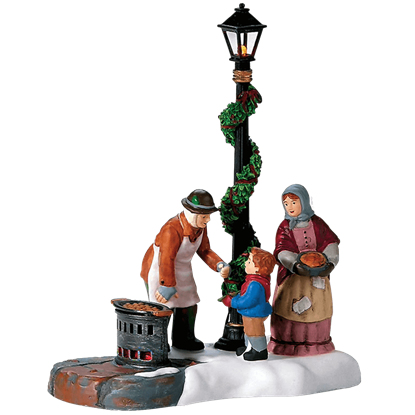 Inspired by the world of Dickens A Christmas Carol, this piece makes a great option for your fine holiday village. The Chestnut Vendor figure will have you imagining the wafting aroma of roasted nuts with its charming details. The Christmas Carol village series by Department 56 brings Charles Dickens classic holiday tale to new life. Miserly Ebenezer Scrooge gets quite the shock in the Christmas Carol Visit he receives from a trio of mysterious spirits. A classic holiday tale, Dickens A Christmas Carol is the perfect way to get in the mood for the season. The Waiting In The Parlor For Old Joe figure recreates a scene shown to Scrooge by the Spirit of Christmas Yet to Come.